Explore opportunities for young people to find outdoor adventure and learn new skills with our youth, teen, and family programs. We're committed to bringing outdoor experiences to today’s youth through our outdoor youth and family programs. We introduce young people to the benefits of outdoor experience: a healthy lifestyle, outdoor recreation skills, perseverance, self-confidence, self-reliance, an appreciation for the natural world, and a commitment to protecting the outdoor experience. Our high instructor-to-youth ratio allows young people to learn from highly skilled volunteer educators who themselves love the outdoors (that's why they volunteer!). Our participating youth members attain the deepest and most personalized experience available. 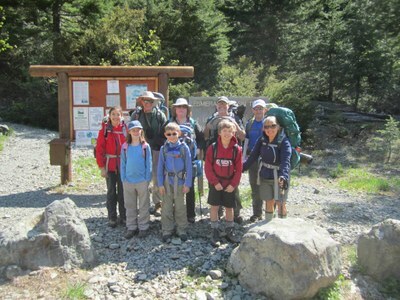 Mountaineers Adventure Club - In the Seattle and Tacoma branches, Youth ages 14-18 meet monthly and go on a wide variety of outdoor trips, including hiking, rock climbing, skiing, rafting, camping, and mountaineering. 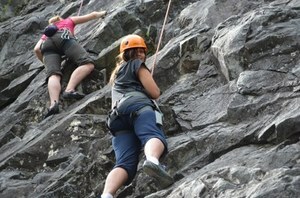 Led by a team of youth, mentored by adults, this program is our pinnacle outdoor leadership program. Youth learn new skills, hone existing skills, and become teachers and mentors for other youth. Learn more. 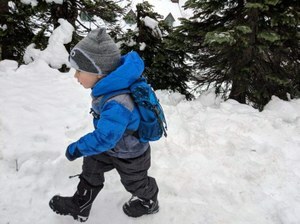 Explorers - In the Seattle, Tacoma, and Olympia branches, Youth ages 10-13 (Sea) or 8-13 (Tac and Oly) and their families meet monthly and enjoy a variety of outdoor pursuits, including hiking, snowshoeing, skiing, camping, rock climbing and kayaking. 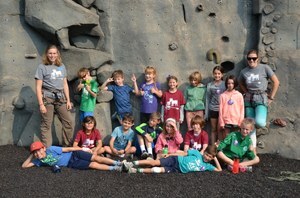 This program is designed to encourage outdoor adventure, teach safety and independence, and prepare kids who wish to graduate into Mountaineers Adventure Club. Learn more. Pioneers - In the Seattle Branch, Youth ages 7-9 and their families meet quarterly, and enjoy an outdoor adventure each month. Adventures include hiking, snowshoeing, climbing, camping and kayaking. This program is designed to inspire a love of the outdoors and teach basic outdoor skills and preparedness. Learn more. and an accompanying adult outside together to inspire a love for our planet in the future stewards of our world. Parents, grandparents, aunts, uncles, babysitters, friends...let us do the planning to get you and your little one outside together with fellow outdoorsy families! We host multiple events a month during the school year, including meet-ups for a nature walks, in-town, hands on nature-based activities, and outdoor adventure activities. Learn more. Get your youth group outside with us! The Mountaineers partners with over 40 youth organizations to provide introductory and progressive outdoor programs to youth in the Puget Sound. Our programs are custom designed together with the partner agency, and can include rock climbing, hiking, snowshoeing, cross-country skiing, kayaking, wilderness first aid, team building, map and compass, and Leave-No-Trace training. Learn more. Youth ages 6-13 can join The Mountaineers for week-long, summer day camps and overnightcamps. These adventure-based camps offer youth a chance to learn a variety of outdoor skills and spend time outside with new friends. Learn more here. Youth entering grades K-4 (ages 5-9) in the Seattle and Kitsap area will delight in this outdoor summer camp filled with adventures in art, music, drama, play, hiking, exploring the forest, wildlife and creeks – and just plain fun. Find out more.